Thank you for taking time to explore the unique world of fair trade handcrafts and teas with Danyun. When you purchase handmade items and teas from Danyun, you help empower and inspire low-income artisans and farmers in rural Yunnan, China. By choosing these crafts and foods for your store, you and your customers will help create positive change for families in 30 developing communities. Email us at orders@danyunfairtrade.com or call us at +86 871 6315 9299. We’re always happy to help! – Wholesale pricing on all Danyun products. This is a 50% discount off of the suggested retail price (SRP) for most handicrafts and 30% off on most teas. – Wholesale pricing and more information can be found on the current Non-Standard Price List online. – Minimum order requirement is USD 500 wholesale of in-stock items. – Shipping charges are based on wholesale order value and can be found in Forms. You receive FREE SHIPPING on your first order! Please submit the Sales Agreement/Account Information Forms to set up your account. 1. If you are a new customer, please fill out and submit the sales agreement and account information form (make link to pdf form). After a quick review, we will confirm your wholesale account. 2. Find more forms here (make link to forms & terms). 3. 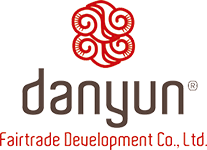 Please contact Customer Service at +86 871 6315 9299 or orders@danyunfairtrade.com to find out how to set up an online account. 4. Once you have an account, you can shop anytime at www.danyunfairtrade.com/login. 5. Print and display Artisan Stories at your store! This chart is for wholesale store customers who have established an account with Danyun. You are welcome to use Danyun’s promotional resources for product distribution.